An avid sailor, Martin said the first few hours of the experience reminded him of a time he’d been knocked off his boat by a powerful wave and lost track of the vessel. “It was like falling off the boat in the open ocean, looking back, and the boat is gone. Then the water disappears. Then you disappear,” he said. “The whole ‘you’ thing just kinda drops out into a more timeless, more formless presence,” Martin told Business Insider in January. That shrinking of the sense of self has been linked with long-lasting shifts in perspective — changes that appear to be related to a reduction in symptoms of depression and anxiety. 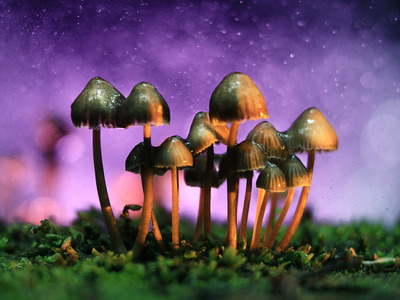 That’s according to clinical trials of magic mushrooms’ active ingredient, psilocybin, in cancer patients at Johns Hopkins and New York University. Martin was one of those patients. “In the depressed brain, in the addicted brain, in the obsessed brain, it gets locked into a pattern of thinking or processing that’s driven by the frontal, the control center,” Nutt said. Researchers say the drugs’ apparent ability to induce powerful, positive changes in personality could offer a way to address the foundations of mental illness, unlike current antidepressant medications that simply treat the symptoms. “Psychedelic therapy … offers an opportunity to dig down and get to the heart of the problems that drive long-term mental illness in a much more effective way than our current model, which is take daily medications to mask symptoms,” psychiatrist Ben Sessa said at a recent conference in London on the science of psychedelics. “It’s using the drugs to enhance that relationship between the therapist and the patient,” he said.